In honor of the Advent season, Katherine Graber writes on The Man Born to be King by Dorothy L. Sayers, a twelve-play cycle on the life of Christ . British 1st edition of THE MAN BORN TO BE KING published by Victor Gollancz, 1943. 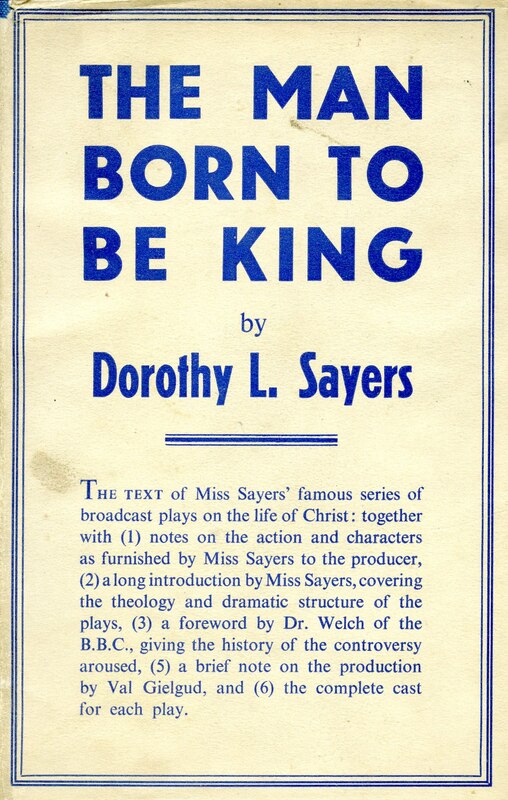 Although she is most commonly known today for her Lord Peter Wimsey detective novels, her theological writings, and her translation of Dante’s Divine Comedy, Dorothy L. Sayers also holds the distinction of creating one of the British Broadcasting Corporation’s most celebrated (and controversial) radio dramas, The Man Born to be King. For many twenty-first century listeners, this children’s radio series sounds innocuous enough, but its original ten month run on the BBC’s Children’s Hour program prompted a hailstorm of both indignation and adulation from the British public, ranging from Ulster housewives to the House of Commons. 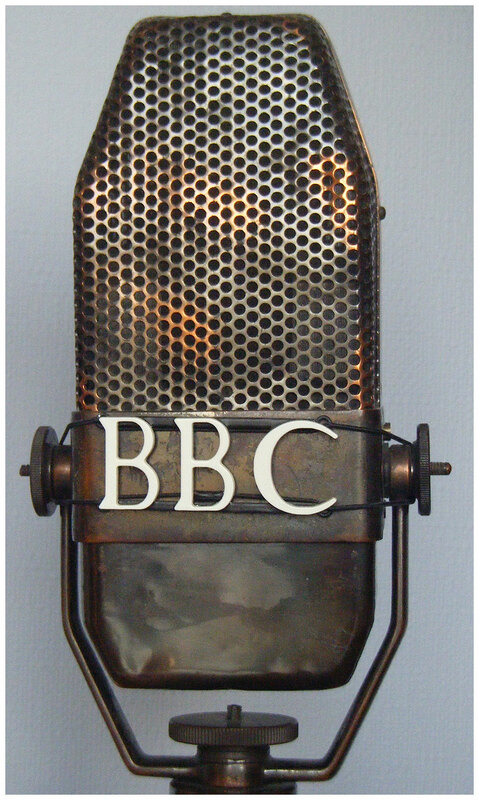 Today, visitors to the Wade Center can not only listen to the original radio drama from 1942 but also leaf through the published edition of the radio scripts (London: Victor Gollancz, 1943), with a foreword by the series’ producer J.W. (James) Welch describing the radio drama’s controversy. Even more unique, The Man Born to be King archive contains hundreds of letters written from listeners to Dorothy L. Sayers, revealing a wide range of responses to the original broadcasts. This listener correspondence provides a glimpse into why a BBC radio drama for children generated such diverse and heated reaction from war-time Britain. The Man Born to be King’s beginnings were auspicious enough. In February 1940, James Welch, the BBC’s Director of Religious Broadcasting, commissioned Dorothy L. Sayers to write a twelve-part series depicting the life of Christ; an enterprise riding on the success of her 1938 Nativity radio drama, He That Should Come. An Anglican clergyman, Welch felt a particular concern for the religious education of children and believed the current programming on the Children’s Hour failed both to capture listener interest and convey solid teaching. Welch’s concern was only heightened by the London Blitz, which prompted mass evacuations of children to the countryside, far from their home churches and habitual worship. As Welch envisioned it, this new series could reach unevangelized children as well as provide better spiritual instruction for the five million children who already tuned into the Children’s Hour on Sunday nights. Sayers enthusiastically signed on to Welch’s vision for the program, but added several conditions to her participation. She insisted that this new series would employ the same sort of dramatic realism used in He That Should Come and that she would depict Christ as a character in the drama (a practice not condoned in 1940 by the Lord Chamberlain, who regulated theatre censorship and forbade the depiction of deity on the stage). Despite shrill protests, The Man Born to be King was released on schedule, airing in twelve installments between December 1941 and October 1942. The series proved so popular that it was rebroadcast during Lent in 1943 and published in book format that same year. In addition to the innumerable children who tuned into the broadcast on Sunday nights, nearly 10% of the British adult population listened as well. (Wolfe, 235) The BBC continued to air the drama series regularly over the next several decades. In the weeks following the initial press reaction, Dorothy L. Sayers attributed the controversy surrounding her radio drama to “religious maniacs,” who displayed “a most alarming amount of fetish worship of the Authorised Version.” (Letter from Dorothy L. Sayers to Dr. William Paton, January 30, 1942. The Man Born to be King Archive Folder 22.) Although Welch’s “great evangelistic enterprise” was intended to target biblically uninformed children, Sayers’s fan mail reveals that many of those who were so affected by the series were often adults, long acquainted with the Bible. While attachment to the familiar words of the Authorised Version was at the heart of the protest against radio drama, it was also central to its success. For many adult listeners, the antiquated language of the Authorised Version had contributed to their apathy toward Scripture. This familiarity with the Authorised Version, however, also served to rekindle interest in the person of Christ, as he was depicted in Sayers’s fresh rendering. As a result, the “fetish worship of the Authorised Version” Sayers found so alarming was in reality a significant factor in The Man Born to be King’s efficacy, a feat of irony that even a detective novelist would have no choice but to appreciate. 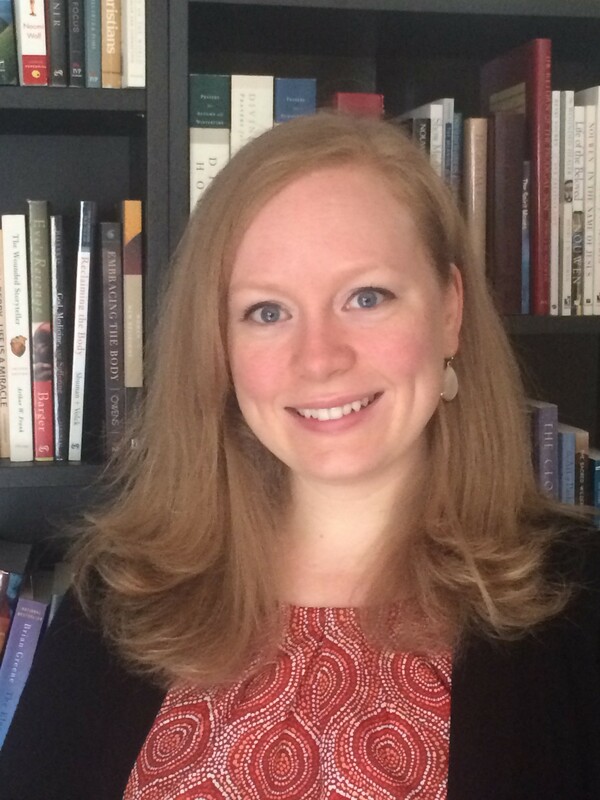 Katherine Graber is Reference Archivist at the Billy Graham Center Archives at Wheaton College and former Wade Center graduate student worker. She holds a B.A. in English literature from the University of Missouri-Kansas City and a M.A. in History of Christianity from Wheaton College. Katherine is currently pursuing an M.S. in Library and Information Science at the University of Illinois Urbana-Champaign.